The most popular and best-equipped of these is Mzaar Kfardebian, featuring more than 50 miles (80km) of ski tracks, 42 slopes, facilities for snowboarders and snowmobilers, and even views of Beirut stretching out in the distance on clearer days. Those who are more into scenery should check out Laklouk, with its jagged peaks and cedar-covered terraces. Those who want to feel like they're in Aspen or Vale should head to the Faqra Club, a private resort established in 1974. All of Lebanon's ski resorts are eminently accessible from Beirut, and make for a less-trodden alternative to European or American ski vacations. 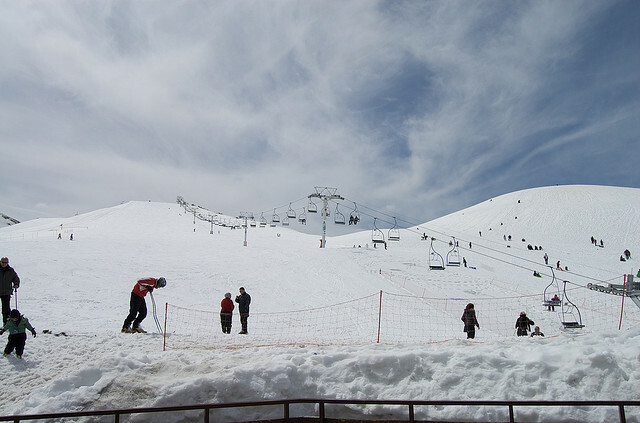 The ski season in Lebanon runs from December to April.